Knidos (Cnidus) had two harbors. 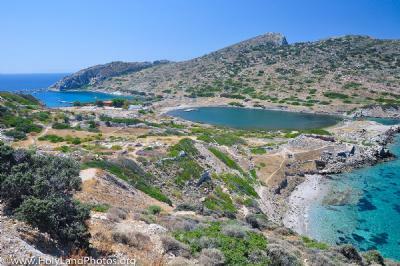 The western harbor was used for military vessels, triremes, while the larger eastern harbor was for commercial vessels. Because of its location on the very southwest tip of Turkey from here ships could head north into the Aegean, northwest to Greece, or west towards Rome. The apostle Paul passed Cnidus on his voyage to Rome (Acts 27:7).